Jio Prime members can extend the telco's existing offer by another year, against a fairly nominal fee. Reliance Jio has finally revealed more data and calling plans for both prepaid and postpaid users. 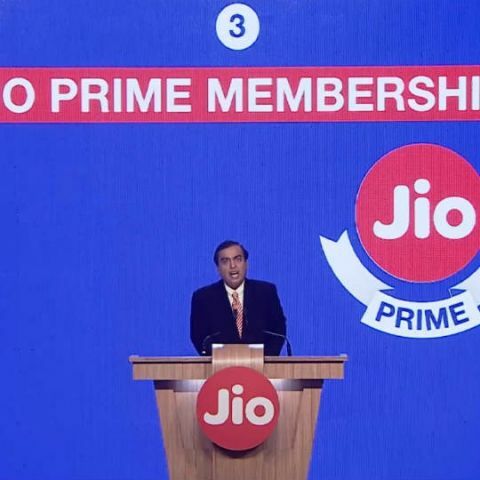 The new plans make the most of the Jio Prime membership announced by Reliance MD Mukesh Ambani, and offer special incentives to those who subscribe to Jio Prime. The new Jio Prime membership plan will cost users a one-time fee of Rs. 99 to be enrolled, and paying a fee of Rs. 303 every month will let users extend the unlimited calling and data services by another 12 months. Both new and existing users can enroll under the Jio Prime membership by March 31, 2017, and the plans will be valid until March 31, 2018. Along with all of these, you get a wide range of booster packs. The minimum booster pack for postpaid users begin at Rs. 51 for 1GB of 4G data, and Rs. 11 for 100MB 4G data for prepaid users. Jio also provides “unlimited at night”, giving unlimited data to users between 2am and 5am. Students can also avail 25% added data benefits against each of these plans, and postpaid users who opt for e-bills and automatic bill pay with credit/debit cards will also get an added 15% discount. All of these plans will hold true for Jio Prime subscribers, till March 31, 2018. The plans will come in effect from April 1, 2017. Those who do not subscribe to Jio Prime will incur substantially heavier costs, the details of which you will find here. I have got a jio sim without generating code, will I be eligible for jio preview offer? every game freezes on my pc. Why?